Swindler Bernard Madoff was convicted in March 2009 of orchestrating the largest Ponzi scheme in history, a decades-long scam that bilked investors of more than $50 billion. In pleading guilty to 11 felony counts, Madoff claimed to be "deeply sorry and ashamed." 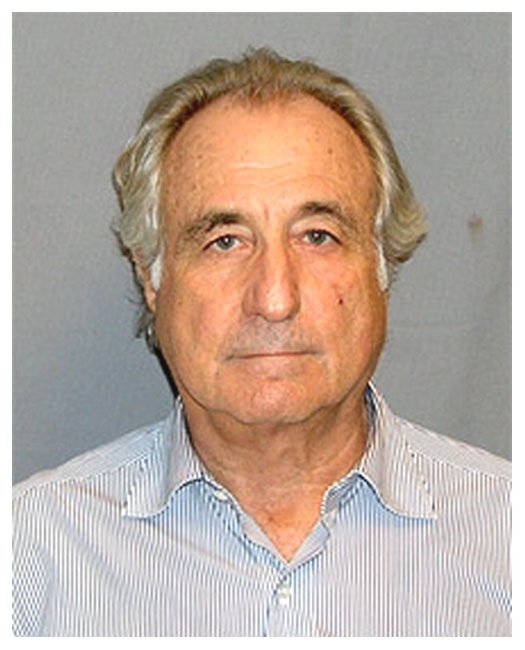 Madoff is pictured in a United States Marshals Service mug shot. Submitted by SpecialEd on Thu, 2011-06-02 21:48. Submitted by nastynorm on Wed, 2010-12-22 00:57. HE EVEN RIPPED OFF HIS OWN KIND.